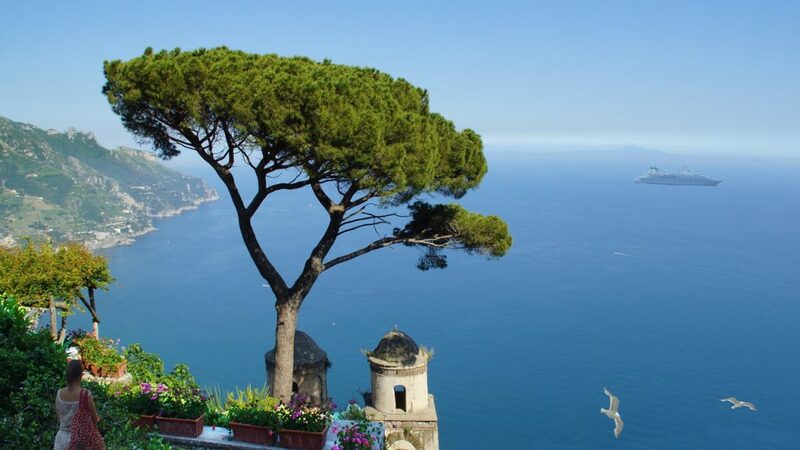 While it doesn’t take much to convince one about all the wonderful reasons to visit il bel paese, sometimes you need a little inspiration to make the leap and click “book it.” If you’re not sure which way to go (North to Milan, or down to the coast of Sorrento? 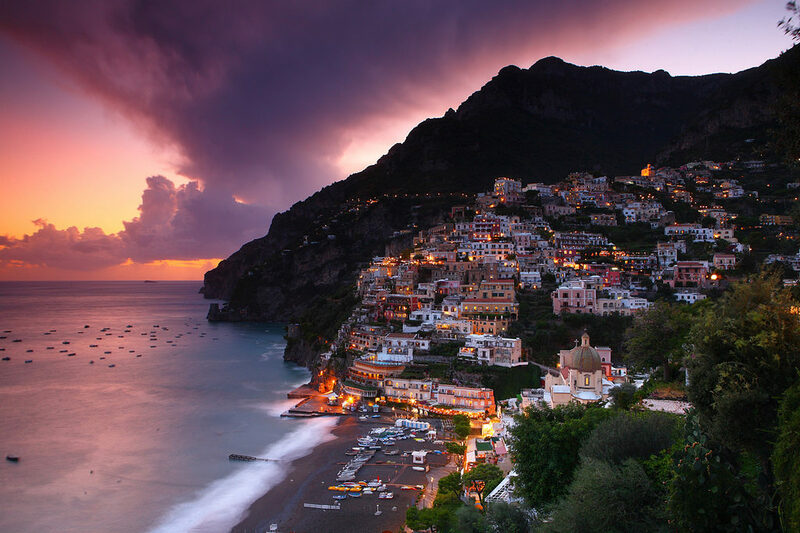 ), check out these 8 ways to get inspired and to plan the trip of your Italy-filled dreams. Italy is no doubt one of the most beautiful countries in the world, and Hollywood is well aware of it. From films like Under the Tuscan Sun to Eat, Pray, Love, both explore the romanticism, history, and unexplored adventure that Italy holds for each of us. Films like these can help you determine what suits your personality best. Are you dreaming of rolling hills and sprawling villas in Tuscany, or would you rather be sipping on a spritz overlooking the vast Mediterranean? From breathtaking landscapes to mouthwatering authentic Italian fare, these films will make you want to book your flight right then and there. While I am an avid reader of many genres, nothing piques my interest more than a book about Italy or Italians. Any time one of my favorite Italian authors releases a new novel, I pick it up immediately and read it within a few days, savoring every detail they write about Italy. If you’re looking for some inspiration for exploring Italy, especially the less mainstream areas, check out novels from Rosanna Chiofalo and Adriana Trigiani. One of my favorite novels from Rosanna Chiofalo is Stella Mia, which explores various beaches of Sicily and the Aeolian Islands. Having ancestors from Sicily, I really connected with this novel. I also recommend Rosalia’s Bittersweet Pastry Shop by Chiofalo as well, which also is set in Sicily. 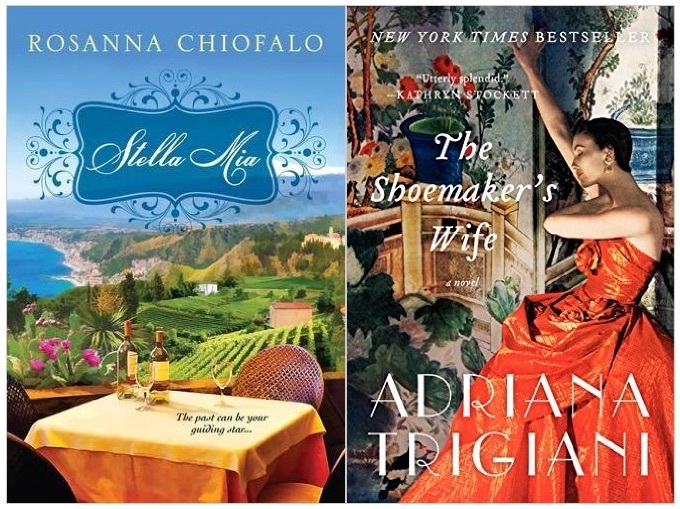 I’m a huge fan of all of Adriana Trigiani’s books, but The Shoemaker’s Wife is one that really stands out. Set in the Italian Alps, the story is an unforgettable saga with characters you will grow to love as soon as you start reading. These unforgettable stories bring Italy to life through the written word, and will tug your heartstrings ever closer to Italy. 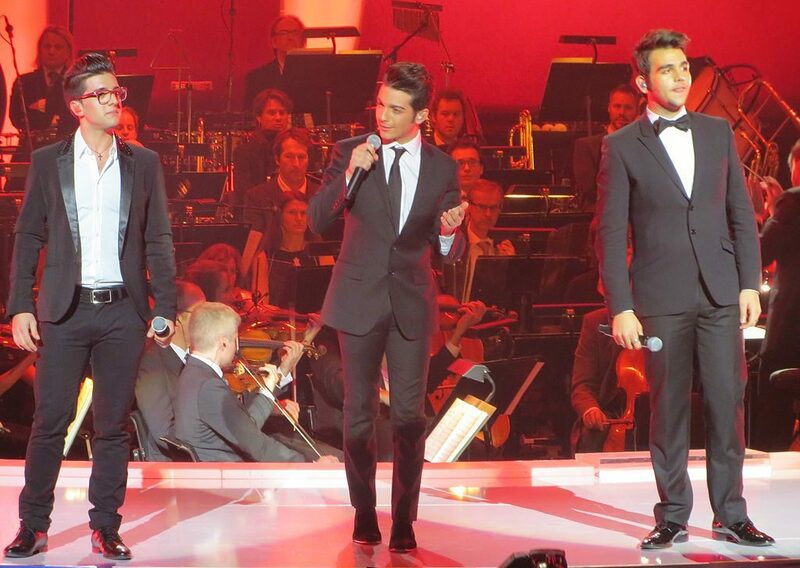 To me, there is nothing more beautiful than Italian music. From Dean Martin’s smooth and romantic tunes, to the powerful voices of Il Volo, each song transports you to romantic and dreamy scenes that you would only find in Italy. 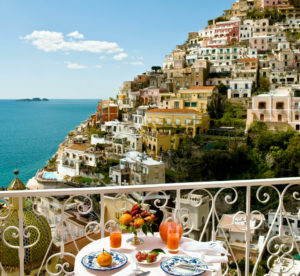 The iconic Neapolitan tune O Sole Mio will have you imagining warm, picturesque summertime scenes of the Amalfi Coast. Dean Martin’s classic songs Volare and On an Evening in Roma will leave you desperately wishing you were riding on the back of a Vespa through the streets of Rome, passing by the Colosseum and eating gelato. As catchy as they are classically Italian, these songs will serve as the soundtrack to your Italian vacation. What better way to become immersed in a culture than to learn their language? Studying languages is one of the greatest ways to get inspired to travel. With apps you can download to your smartphone, it’s easier than ever to start learning a language. One of my favorites is DuoLingo, which has multiple activities, immersion options, and translation opportunities to help you learn the language of your choice. They have also added social components to the app where you can interact with your friends who are also using the app. Another great way to practice your pronunciation and sentence forming is by joining a local meetup for Italian Language. At these meetups, everyone is there to speak solely in Italian and test their language skills and interact with people at different levels in the language learning process. After you pick up a few phrases, you’ll be eager to head over to the mainland to test out your language skills. From my iPhone to my desktop computer at the office, all of my devices have a photo background of Italy. One way you can inspire your trip to Italy is by saving or posting photos of Italy. Pinterest is a great site for this. I have several boards dedicated to different regions that I want to visit the most (La Bella Amalfi, Sicilia, and my Italians Do It Better board which is a collection of thousands photos from all over Italy). This is a great way to find places that you find most intriguing and aesthetically pleasing. Having photos in front of you all the time will make you want to see these places in real life all the more. Another great way to inspire and help plan your trip is to chat with friends who have gone to Italy in the past. Make sure to ask them what the “must see” places are, the best local hotspots, and what some of their favorite activities were. Keep in mind that everyone’s taste is different, but it is good to hear about friends and families’ experiences. This might urge you to explore somewhere that you never considered before. As an Italian myself, I see Italy as more than a vacation destination. If you have family from Italy or relatives still living there, take the time out of your vacation to visit these places or people. During my upcoming trip to Italy, I am planning to visit my Nonno’s hometown of Agrigento, and my Nonna’s hometown in Calabria. 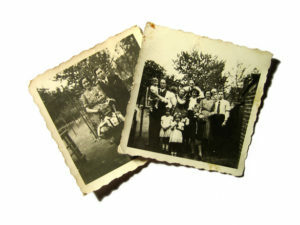 Italians pride themselves on holding family is the most important thing in one’s life, and seeing the birthplace of your ancestors is something that is not to be missed. If you don’t have any family ties to Italy, the country is still full of rich historical sights that are any history buff’s dream come true. Rome, Pompeii, and Florence don’t even begin to scratch the surface of Italy’s must see historical sights. If you’re like me, you’ve been mentally planning your dream trip to Italy for quite some time now. You know exactly which spots you’re dying to see, and you’ve set expectations for the trip of a lifetime. You may have never been, but you love it already. One way to make your trip uniquely yours is by planning a custom trip that’s tailored exactly to you and your travel partners. Consider a tailor-made itinerary catering to your every need with Travel Italian Style. 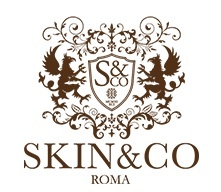 Travel Italian Style was founded by Cassandra Santoro a Sicilian- American Italian Travel Expert and Trip Planner. Cassandra has partnered with local friends, family, and native guides throughout the country to create bespoke, slow travel, and beautiful authentic experiences that show you the true meaning of la dolce vita. Travel Italian Style also specializes in Personalized Italian-Heritage Tours. Whether you discussed researching your Italian background or going to roam the same small streets of your parents or grandparents, this trip will be an once-in-a-lifetime family vacation that will inspire you to pass on your traditions for generations to come. You can find out more at www.travelitalianstyle.com or follow Cassandra on Instagram. Sarah is the creator of The Sweet Paisana, a lifestyle blog focusing on authentic Italian food, beauty and fashion, and all things encompassing la bella vita. Born into a large Italian family, Sarah was raised with strong traditional Italian values, and she is passionate about carrying on the traditions and lifestyle of her heritage. Here at Italia Living, Sarah contributes her take on Italian style, home, lifestyle, and more. You can visit her website at www.thesweetpaisana.com.